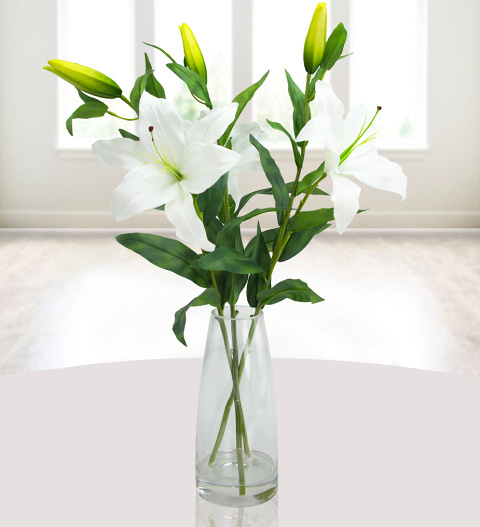 When you want to show a friend or loved one that you care, you can&apos;t go wrong with these gorgeous lilies. Our silk lilies are perfectly designed for the most realistic appearance so that they can be enjoyed for years! No matter the occasion, these faux flowers make the perfect gift! The gift measures a whopping 26 inches!